Ted Baker is a British chain store for men's shirts and has now extended to men's and women's apparel. The designer clothing offered consists of a wide array collection of high-end styles. From dresses to suits to exclusive designs, the store has casual and business options for everyone. With Big Apple Buddy’s personal shopping service, you can now buy direct from the Ted Baker online store anytime, anywhere. Get your summer started with Ted Baker's Citrus Bloom Pleated Dress! This fun and colorful dress is one of the hottest of the season. With a classic and elegant touch, the dress is versatile for any occasion whether it's a casual or fancy night out. It's the perfect length to be elegant but at the same time chic and modern for any kind of occasion. The contrasting colors give you the ideal flow for this beautiful dress. You can never have too many dresses! 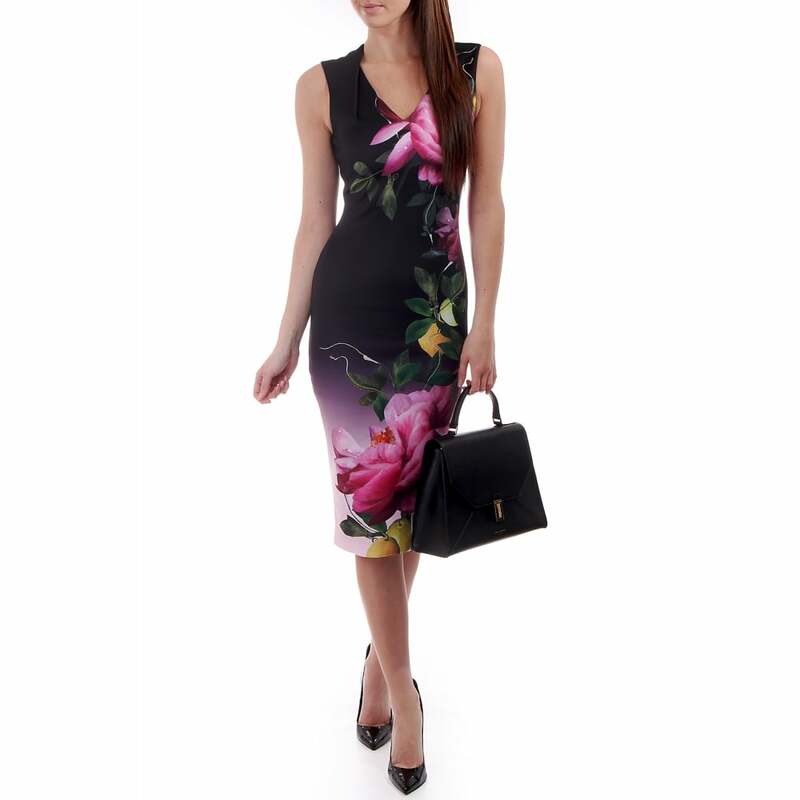 Ted Baker's Khya Mesh Embroidered Midi Dress is another great option to start off the season with a bang. It goes below the knees but maintains a comfortable breathability with the sleeveless style and the thin layer at the bottom. The intricate detail at the front makes this a unique and must-have dress that will leave everyone in awe of your outfit! 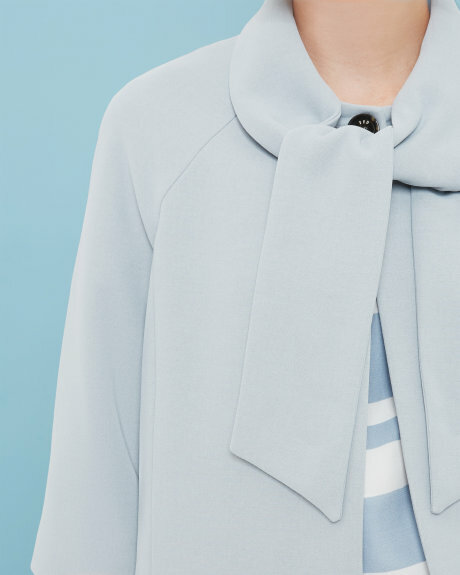 For those chillier days, cover up with Ted Baker's Avvllo Neck Tie Jacket. You can stay in style while staying warm! It's an elegant addition to your outfit as you can combine it with anything from a blouse to a dress. The mid sleeves will keep you protected while the single button closure allows you to show off what's underneath. The pastel color nicely blends with other hues and is perfect a night out. Unfortunately, the USA Ted Baker online store does not currently offer international shipping. However, Big Apple Buddy, your personal shopper, can help you buy products direct from the official USA Ted Baker online store and ship them to your doorstep, no matter where you are in the world. We offer international shipping to over 110 countries including Australia, Austria, Azerbaijan, Bahrain, Belgium, British Virgin Islands, Brunei, Bulgaria, Canada, Chile, Costa Rica, Croatia, Czech Republic, Denmark, Estonia, Fiji, Finland, France, French Polynesia, Germany, Gibraltar, Greece, Greenland, Hong Kong, Hungary, Iceland, Indonesia, Ireland, Israel, Italy, Japan, Jordan, Kuwait, Latvia, Liechtenstein, Lithuania, Luxembourg, Macau, Malaysia, Maldives, Malta, Marshall Islands, Mauritius, Monaco, the Netherlands, Netherland Antilles, New Zealand, Norway, Oman, Poland, Qatar, Romania, San Marino, Saudi Arabia, Serbia and Montenegro, Seychelles, Singapore, Slovak Republic, Slovenia, Spain, South Africa, St. Lucia, Sweden, Switzerland, Taiwan, Thailand, the UAE, the UK, Vatican City, and Vietnam. If you would like to buy from the USA Ted Baker online store, simply let us know which items you would like to order (by filling out the form below) and we’ll get back to you with a free international shipping quote within 24 hours!